In fact, how do the weaving? 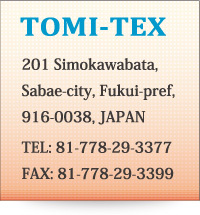 Our 3-D fabrics are produced by TOMI-TEX 3-D weaving system. Electric control of warp and weft yarn motion realizes various 3-D weaving patterns and thicker fabrics. 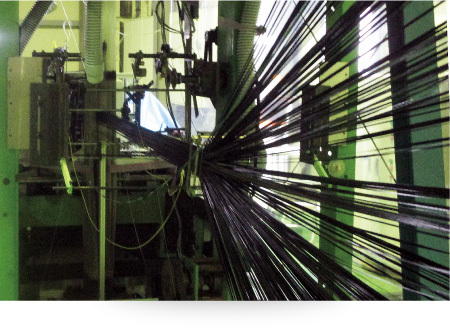 Weft yarn is continuously inserted between warp yarn without being cut until it is used up. Therefore, the productivity is much better than conventoinal looms such as a shuttle loom or a rapier loom. The beating-up function contributes to increase Vf of the fabric. Applicable fabric size is max. width 75mm × thickness 50mm × length endless. 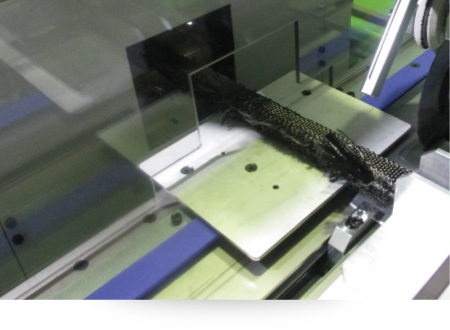 After woven, the fabric is pulled out by the device. It pulls the fabric out in a straight line without rolling so that the fabric can remain its 3-D shape. 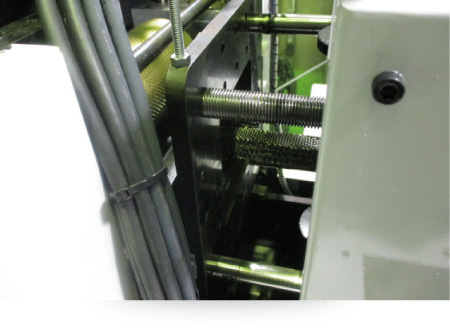 Soon after the specified length is pulled out, the fabric is cut automatically by the device. Copyright (C) TOMI-TEX Co., Ltd. All Rights Reserved.